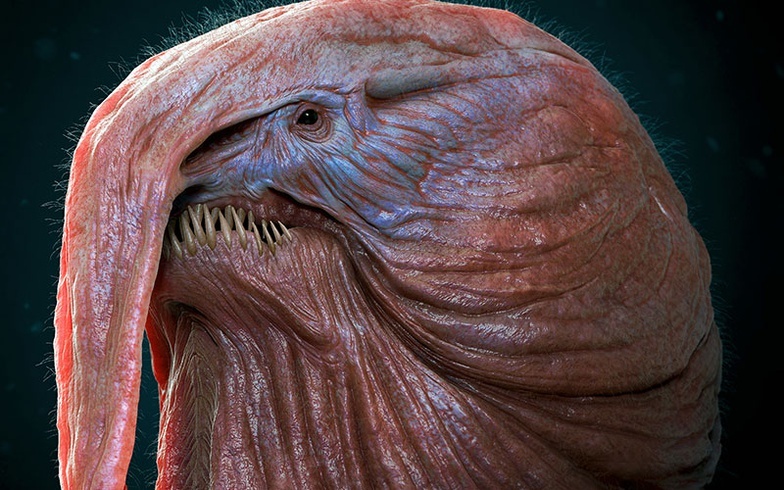 My name is Roberto Digiglio and I'm a freelance creature and character artist. Actually, over the years I have held various roles, but it can be summed up by saying that I was mainly a 3D artist and art director. After finishing studies in computer graphics and concept art, I started working in the videogame industry: first I tried to become a businessman by opening an independent studio with other guys (didn't go too well) and then I was hired in the greatest Italian video game studio, remaining always in northern Italy between Turin and Milan. But now I have decided to go back to my roots and pursue my passions, so I became a freelancer with the goal of creating characters and creatures for the cinematographic and video game industries. I always loved the cartoon style and the comics, so when I saw Valerio Buonfantino's works it was love at first sight. I chose his Doctor Octopus because it is one of my favorite Marvel villains, so I decided to do it in my style but without distorting it. 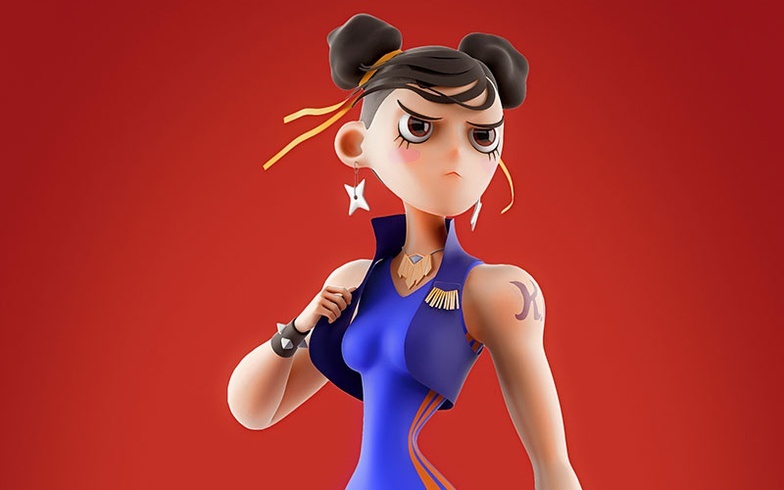 Usually, to make my characters I always start with ZBrush, sculpting without paying attention to topology and anything else (it's my favorite part). Then I start the retopology and rebound from 3ds Max to ZBrush to create details, and more complex parts (like the arms) and clean bases to sculpt. After doing UV, textures, and posing, I finally dedicated myself to rendering, my second favorite area. I usually use V-Ray, which I find extremely versatile. 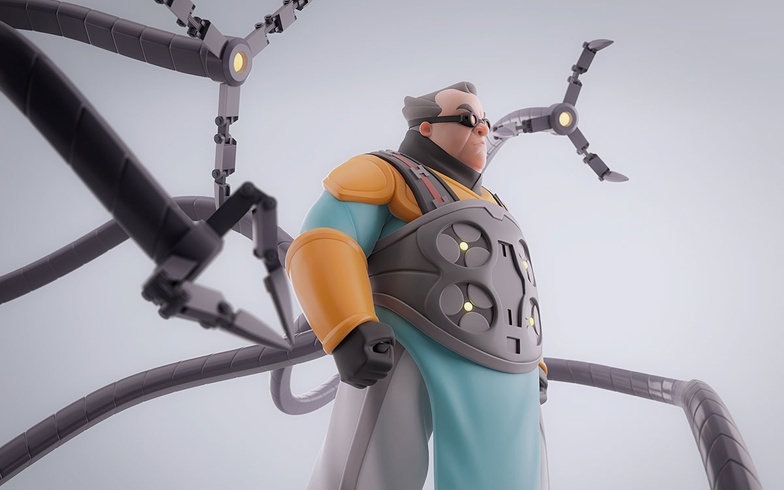 In this case, my goal was to make Doc Ock look like a Disney Infinity-style figure, but adding some extra elements that wouldn't have a real Disney Infinity figure, like SSS and lights emissivity. I love to design and create characters and creatures, ever since I was a kid. Unfortunately, most of the time in my work I have had to take care of the technical aspects of production and this has slowed down my growth process as an artist a lot, but I’m making up for it. 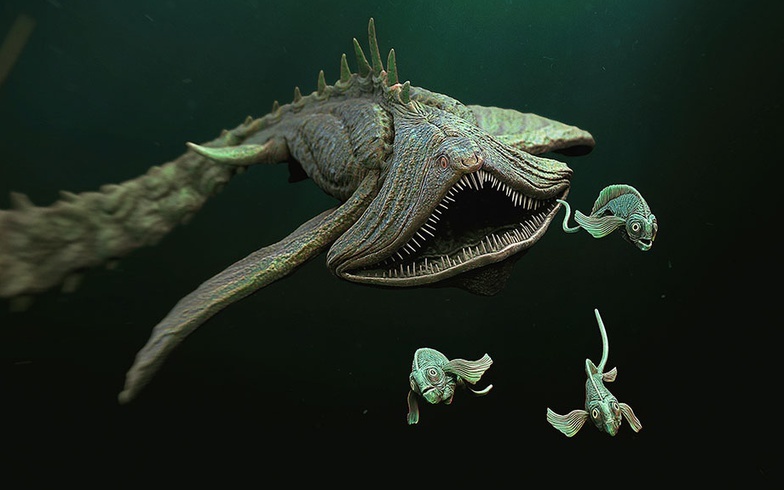 I'm specializing in concept art and in particular in designing creatures (it’s undoubtedly the one I prefer most), studying and scientifically deepening the creation process, so as to make my creatures plausible and convincing. However, if I see a beautiful illustration my 3D artist spirit always wins, and I try to bring it to life by recreating it in 3D. I like every aspect of concept art, from traditional to digital. The artists I most admire are Terryl Whitlatch, Bobby Rebholz, and Ken Barthelmey. 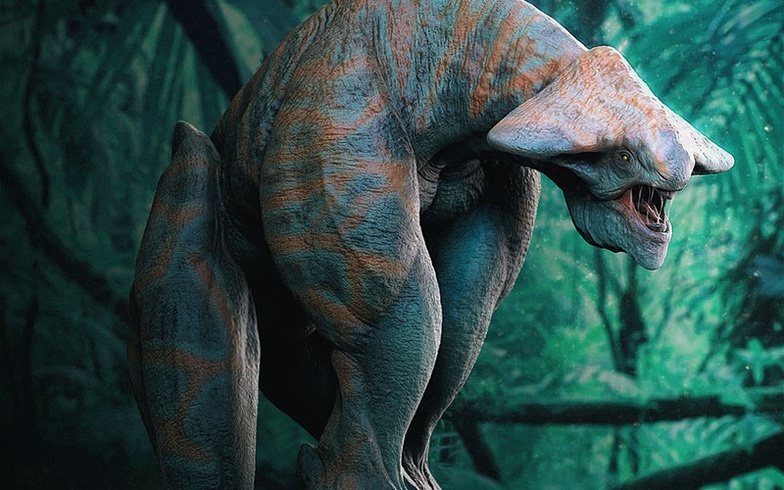 My goal is to become a creature designer of their caliber one day. I like the particular scientific accuracy that Terryl Whitlatch puts into each of his creations, not surprisingly she is a zoologist. I think I have to enroll in zoology at the university. In this period I’m dedicating myself more to characters, even for the jobs I am doing, and I already have some ideas for my next personal works. I think I'll do something more realistic and less cartoony, maybe a beautiful girl in Asian art style. In the meantime, I’ll continue to study and design creatures and do some concepts. Among other things, I also have bigger projects in the pipeline, like the idea of re-opening a studio one day, dedicated to outsourcing for cinema and video games, maybe.